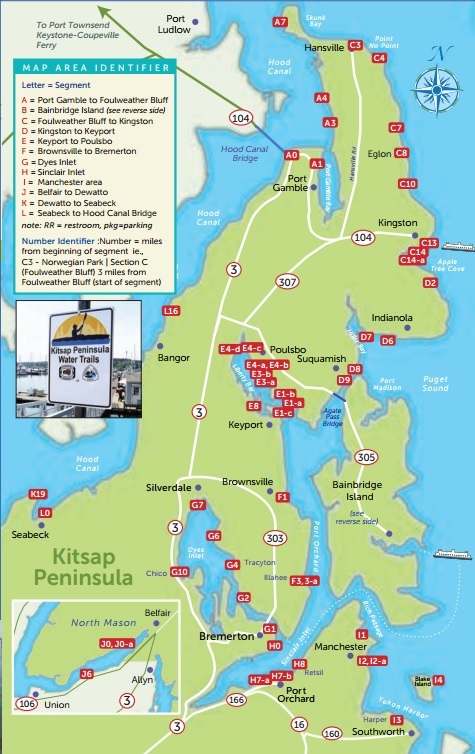 Kitsap Peninsula Water Trail , a celebrated segment of the Cascadia Marine Trail, opens over 350 miles of saltwater shoreline on western Puget Sound and Hood Canal to modern day exploration. Kitsap is a destination because of its unique marine environments, natural scenic beauty of mountains and sound, migrating marine mammal populations, and friendly and inviting ports and towns stepped in tradition. Check out the new interactive map for details on where to camp or enter the water.